UC Merced is on the rise in the latest U.S. News and World Report national rankings. If the University of California, Merced, is indeed the future of the UC, that future is looking brighter than ever. In the midst of an unprecedented campus expansion, UC Merced continues to build a national reputation for research excellence and academic distinction, while remaining one of the nation’s top-performing universities for student success and social mobility. More than 70 percent of UC Merced students are first-generation — double the national average, and by far the highest of any University of California campus. And UC Merced is among the top five public schools nationally for the average financial aid package awarded to undergraduate students. 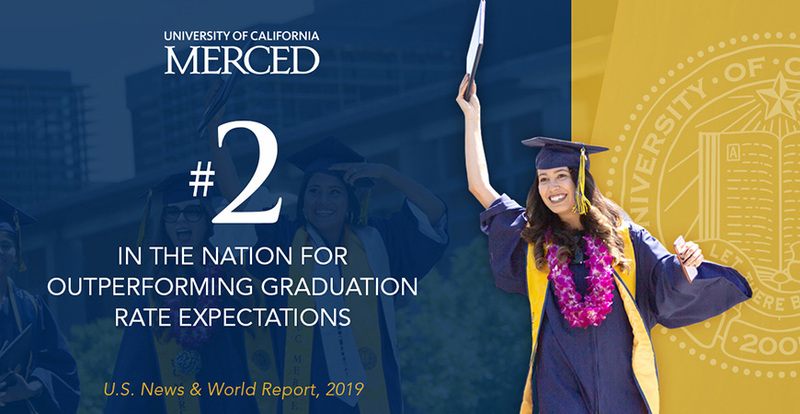 UC Merced remains among the best universities in the nation at supporting its students along their academic journeys. The university’s six-year graduation rate is 16 percentage points higher than the rate predicted by U.S. News’ formula — which uses factors such as the percentage of low-income students and an institution’s financial resources — making it the No. 2 university in the nation for overperforming on that measure. At UC Merced, all students have the opportunity to succeed and fulfill their potential. No. 17 among national public universities and No 43 overall for Best Undergraduate Teaching, based on votes by top college administrators. No. 44 among national public universities and No. 96 overall for alumni giving rate, despite UC Merced alumni having an average age of just 27 and are just beginning their careers. UC Merced’s School of Engineering continues to be recognized, as well. The university’s undergraduate engineering program, which debuted in last year’s U.S. News rankings, appears again this year at No. 113 among publics and No. 167 overall. UC Merced has been well represented in the U.S. News graduate program rankings, particularly in engineering. The university’s School of Engineering most recently placed No. 127 in the nation among engineering graduate schools, and UC Merced appears in several rankings of specific engineering-related disciplines. We have talented, dedicated, hard-working students at UC Merced, and it is our mission to support every one of them and ensure they all have the opportunity to fulfill their potential. UC Merced is a force for positive change in California and the San Joaquin Valley, and a rising star at the national level for our faculty research and the success of our students and alumni. UC Merced rose into the top 40 in Washington Monthly’s 2018 College Guide and Rankings, which differ from other rankings by focusing primarily in three areas: social mobility, research and service. Overall, UC Merced ranks No. 14 in the nation for social mobility. The university is No. 7 in the nation for performance of students who receive Pell grants, and No. 13 for the performance of first-generation students. UC Merced also earned high marks for earnings performance among graduates (No. 30 in the nation) and for value, placing No. 17 in the guide’s Best Bang for the Buck – West ranking. 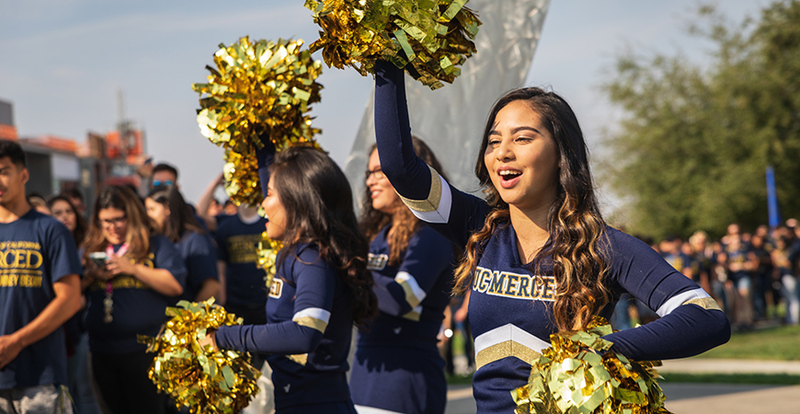 Recently, UC Merced also made its debut on the Princeton Review’s list of Best Western Colleges, with students praising the university’s welcoming faculty, friendly campus climate and recreational opportunities, including in nearby Yosemite National Park.